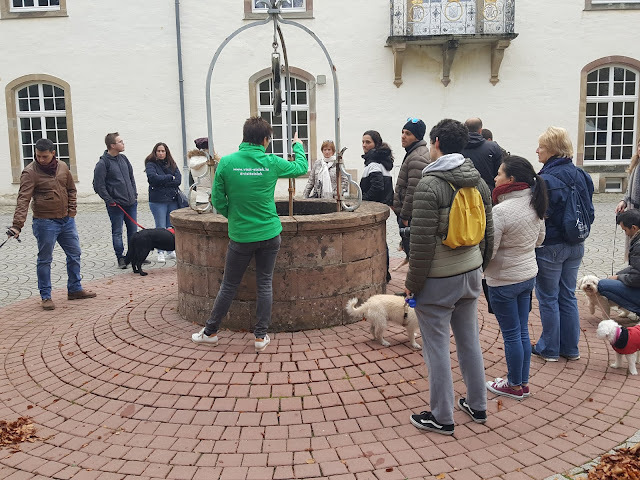 On a cold Autumn day we embarked on another Petopia Event, which I could not recommend more, to taste some local Luxembourgish beers and visit a castle with Luna. 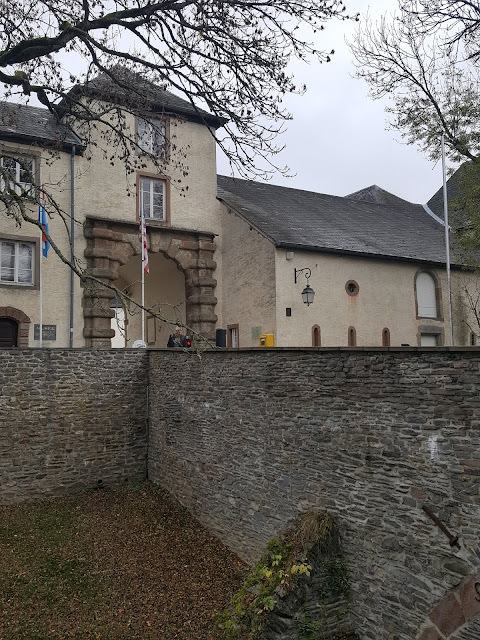 As you may already know from their previous events (here, here and here) this was also great fun, it was very well organised and we got to visit the last castle in Luxembourg we did not check out from our list, Wiltz Castle. 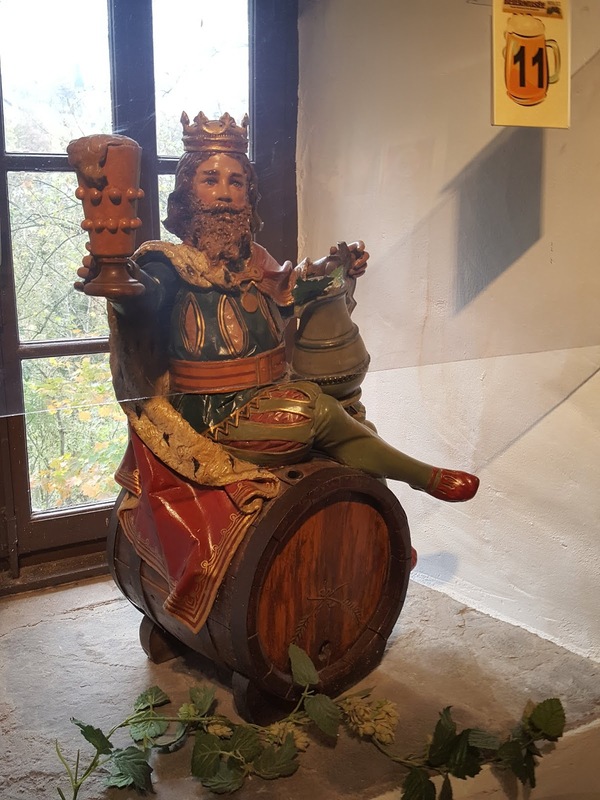 So, we got to be tourists in our country, together with our dog, Luna, we tasted local beers and visited a castle/beer museum. Could we ask for more? Don't think so. 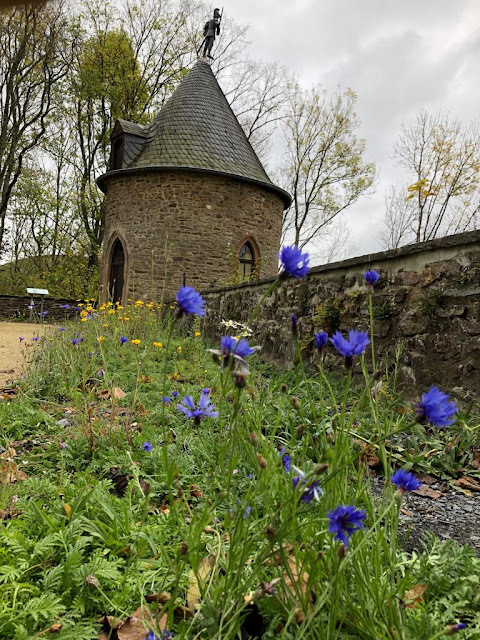 There is a reason as to why we haven't visited Wiltz Castle until now and that is, most of the castle is rented to some University so inside one could find class rooms and not medieval halls. We did go to an event which happened in the castle's garden a year ago so pretty much we visited then what was to be visited from the castle. Situated in the northern part of Luxembourg, Wiltz Castle was dated in the late 12th century. Of course the original castle was destroyed by the French in 1388 (if you've seen my latest post about Burg Cochem it too was destroyed by the French, I did not know the French were so bad, I guess I have to read a little bit of history first), they set fire to the castle so what you can see today is a reconstruction. The oldest towers date from 1573. Now beside the university the castle hosts three museums, the National Brewery Museum, the Tannery Museum and the Battle of the Bulge Museum. We visited the National Museum of the Art of Brewing and at the end sampled the local beers. As avid beer drinkers, we previously visited the Bofferding Brewery, but had no idea about the existence of this museum. 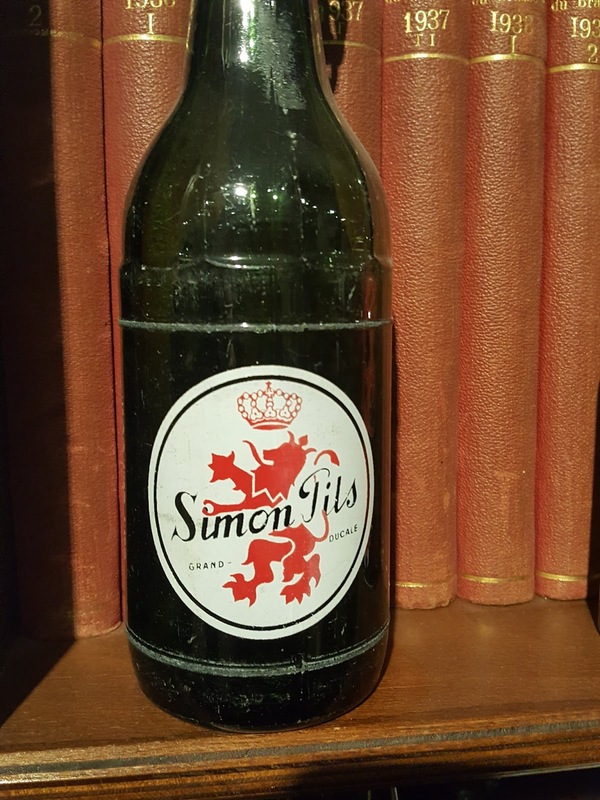 Turns out that it was actually opened in 1999 at the initiative of the Brotherhood of Gambrinus and at the end of the tour one can taste the beers produced in Wiltz: Simon, Ourdaller and Okult. I think at the end we tasted six or even seven beers, so contrary to my knowledge, they produce a lot of types of beer. They are somehow (my opinion) influenced by the Belgian beers across the border, as they are similar in taste, but less alcoholic. I'm no expert in beers, so don't take my word for it, just go and taste them yourself. The brewery museum is small but with a lot of memorabilia from all the Luxembourgish beers. 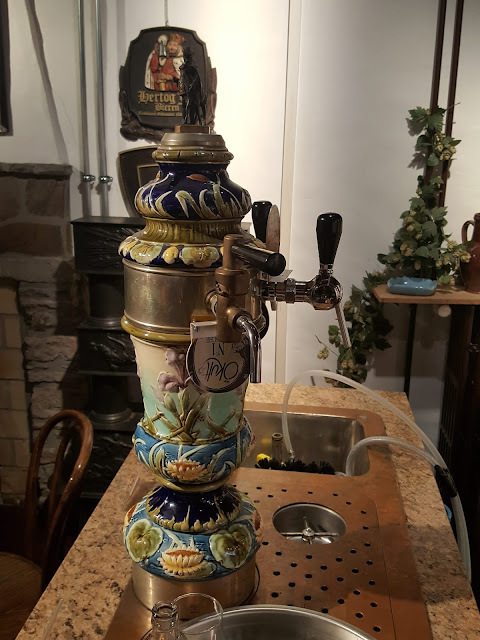 You will see old taps, old glasses, old posters, old promotional objects...it is interesting to see the changes in Luxembourgish history reflected in these small beer related objects. I think even Luna liked the museum and she was surprisingly well behaved while we sampled the beers. It was nice to interact with other dogs and dog friends and like minded people. Overall a very nice event.